Read more about the mesmerising backwaters of Kerala. Kerala’s rainwater surges down its hills and mountains and joins a network of some 40 rivers, resulting in a labyrinth of meandering waterways, canals, streams, estuaries, lagoons and other water bodies forming the now famous 'backwaters’. 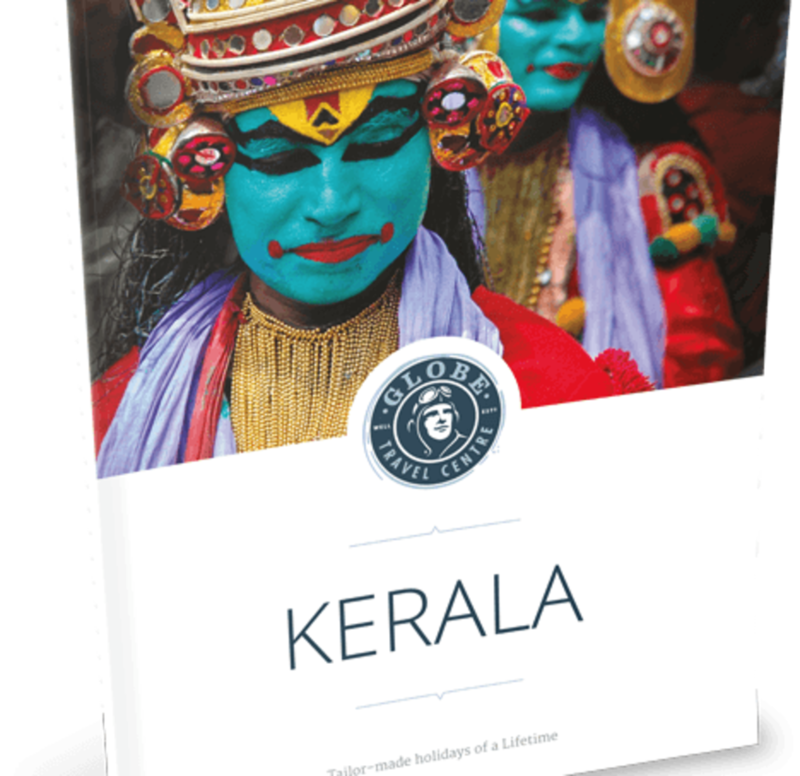 The crisscrossing waters that snake along a 400 mile stretch from the North to the South of the State are undoubtedly one of the most sought after highlights of Kerala. The views are resplendent with stunning beauty as narrow canals with thick foliage open into wider vistas of the lake with endless views of tranquil waters. The palm-fringed shorelines sometimes make way for lush green paddy fields that make the backdrop awe inspiring. The water bodies include a mix of small reservoirs and a number of major lakes including the Vembanad, a large freshwater lake. This creates a very unique eco-system where, in certain places, the waters rush forth with intensity to join the sea, offering drainage and flood prevention. Around the lagoons however, the sea bullies its way inland making the waters brackish during the summers. Come monsoon and there is a complete role reversal. The waters of the Vembanad become viciously saline because of the ingress of the sea but the salinity is absorbed by the roots of mangrove trees in the lake, making it fresh again. At its widest, theVembanad is six miles across, almost resembling a quiet sea. t's not just the channels of water and the breathtaking landscape on its fringes that captivate the mind. 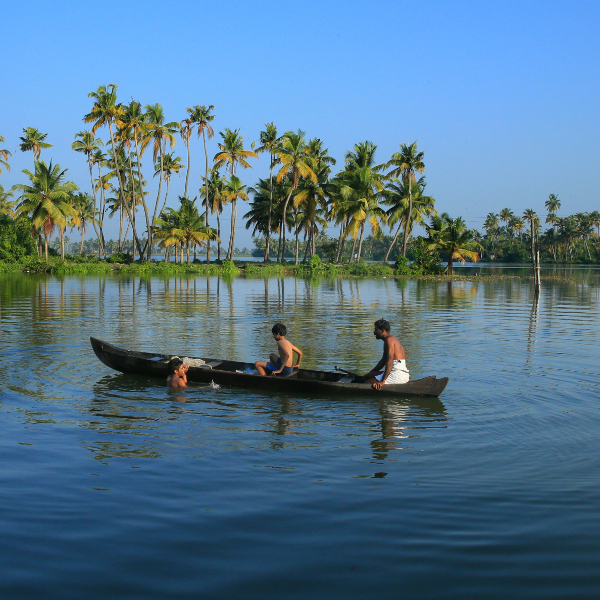 It is also the fascinating life along the backwaters – a world of its own, defined and shaped by the waterways. People along the backwaters live on small slivers of land which are only big enough to accommodate their thatched huts and boats. As one cruises on the backwaters, it is common to see people fishing, washing clothes and bathing along the banks. Traders carry their wares from door to door in small boats and fishermen work with smaller rowing boats. Most people who live here rely on boatmen to ferry them to the nearest road services. Coir making is a common and important vocation in this part of the world as the waters are ideal for this. The banks are also dotted with churches, temples, lush paddy fields and farms. The backwaters are a haven for many different types of rare birds including cormorants, parakeets, kingfishers and darters. Whilst the backwaters stretch across the entire state, Kumarakom, Alleppey and Kollam in the South and Calicut in the North are the more popular backwater areas. If you are in Kerala, then a cruise on the tranquil backwaters aboard your own houseboat to experience the sheer tranquillity and the magic of the waterways is an absolute must.